There are many examples of people with great faith in the Bible. For a list of many, you can read of them in Hebrews chapter 11. We call this the faith chapter. 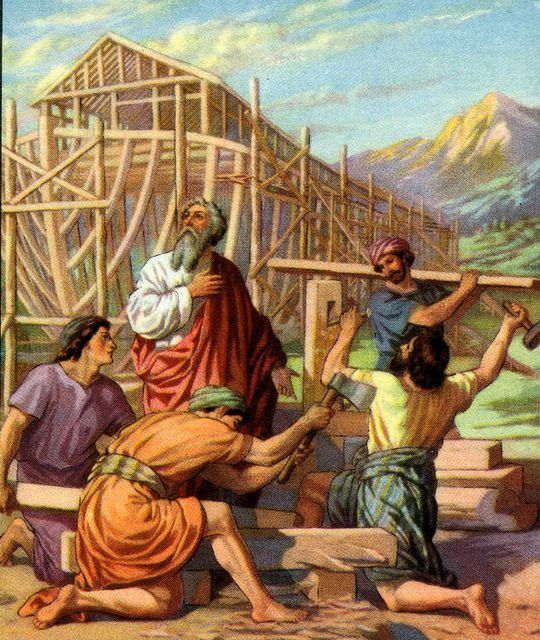 You may have heard of some of the people listed in this chapter, like Moses, Abraham, Sarah, Rahab, and Noah. These people demonstrated or acted on their faith in God. They lived before Jesus Christ came to die for their sin. They had faith in a Savior hundreds of years before that Savior, Jesus, came. During the time Jesus lived on the Earth, people also expressed great faith in Him. There were many times that Jesus healed people because they had faith that He could heal them. Jesus healed people who were blind, lame, crippled, or had other things wrong with them. One such person you can read about in Mark 5:22-24, 35-43 and Luke 8:41-42, 49-56. This person of faith was a father of a young girl. The girl became very sick. 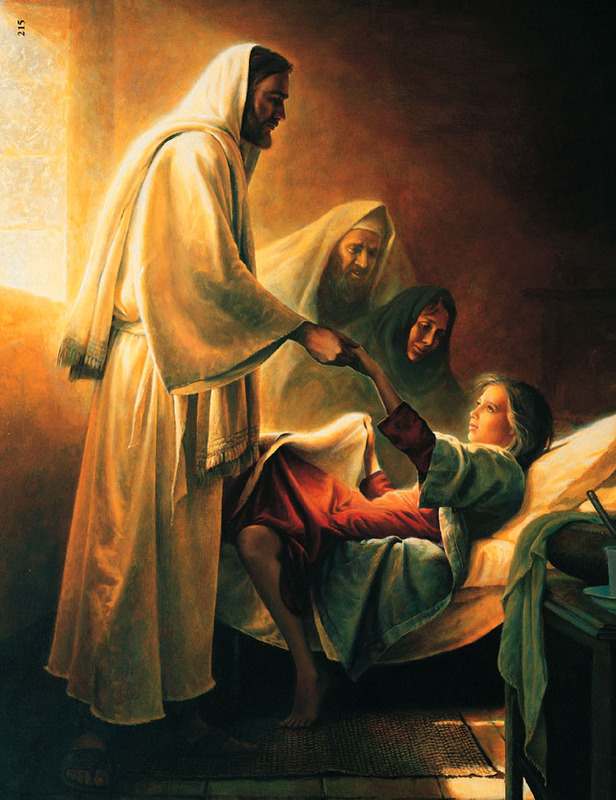 The father went to find Jesus because he knew or had faith Jesus could heal his daughter. After the father set out to find Jesus, his daughter died. The father got to Jesus and asked Him to come to his house to heal his daughter, not knowing she was already dead. 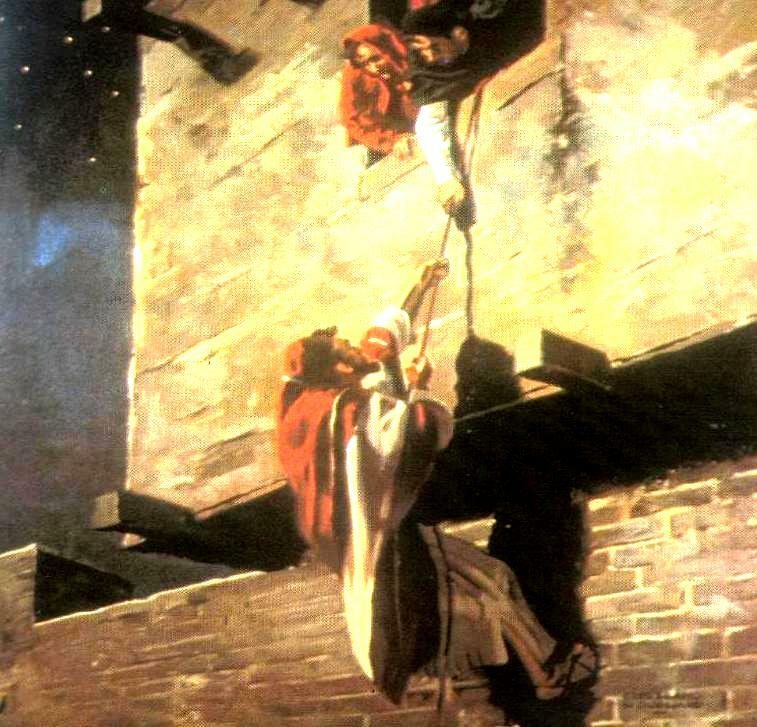 Jesus and the father were on the way to his house when the man’s servant ran up to him and told him it is too late, for his daughter had already died. When Jesus heard this, he told the father to believe or to have faith. When they got to his house, Jesus told everyone not to cry and to leave the house for she was only sleeping. Jesus went over to the young girl and took her hand and said, “Little girl, arise.” She sat up, and Jesus told the parents to feed her. That was a miracle. The man had faith in Jesus. He came looking for Jesus to heal his daughter. He believed Jesus was the only one who could heal her. In Mark 2:1-12 and Luke 5:17-25 we read about four men who had great faith in Jesus. They had a friend who was not able to walk. He was crippled or lame. They heard that Jesus was going to be at a certain house. They knew Jesus could heal their friend. They took a bed they could carry and put their lame friend on it. They carried him to see Jesus. When they got to the house where Jesus was, they couldn’t get in, because there were too many people. So they went up on the roof and opened up a hole in it. They tied ropes to their friend's bed and let their friend down into the middle of all the people so Jesus could heal him. When Jesus saw them and perceived they had great faith, Jesus said to the lame man, “Your sins are forgiven you.” He also healed him and told him, “Take up your bed and walk.” The man immediately picked up his bed and walked! That is a miracle. The men had faith in Jesus. They believed Jesus could heal their friend. The lame man also had faith that Jesus would heal him. In Matthew 8:5-13 and Luke 7:1-9 we find a centurion, or soldier, of the Roman army who knew Jesus healed people. He had a servant who was sick, and the centurion wanted Jesus to heal him. The centurion went to Jesus and asked Jesus to heal his servant. Jesus started to go to the centurion’s home, but the centurion said that he wasn’t worthy of Jesus to come to his home. 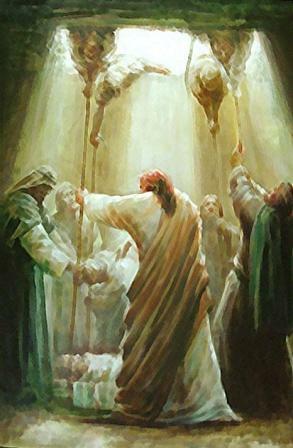 The centurion said for Jesus to say the words and his servant would be healed. He knew (believed, had faith) that Jesus just needed to say the words and it would be done, even though He was far away. 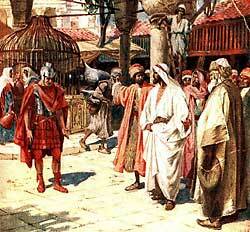 Jesus was impressed with the centurion’s faith. Jesus said, “I have not found such great faith.” The servant was immediately healed. The centurion had great faith in Jesus. These are just a few of the ones Jesus healed because of their faith. In first lesson (Faith 1), I explained that faith is believing or trusting in something or someone. These people all had faith. They knew in their hearts that Jesus could and would heal. Wouldn’t it be great to have such faith? 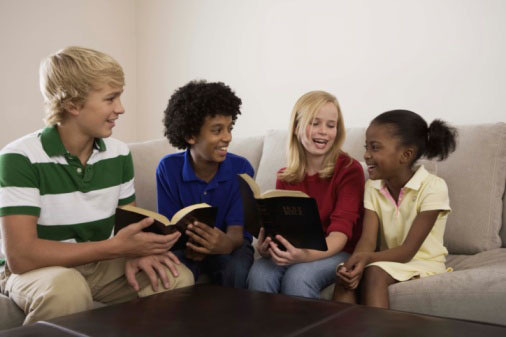 I will share more about the faith you can have in another lesson. Please memorize this verse: Hebrews 11:1 Now Faith is the substance of things hoped for, the evidence of things not seen. You are probably wondering what that verse means. Let me help you understand it. This verse is talking about having faith in Jesus Christ, our God. Even though we do not see Jesus, we trust Him to be our Savior and we will live with Him in heaven someday. Those of you who are older and would like a more detailed breakdown of the different words in the verse may read on. Remember, faith is believing or trusting in something even if you cannot see it. The word substance is kind of tricky. It means what something consists of, the physical matter, or material. It can be a subject matter. In this case the subject is Jesus Christ, God the Father and heaven. Evidence is a means of proving or disproving something. Evidence is used to make things clear so you will know how to understand something or believe something. Let’s say there was a cookie jar in the kitchen with one cookie in it. You saw the cookie and thought that cookie would be good for dessert after dinner. You went outside to play for a while. When you came back in, you went into the kitchen and the cookie was gone! You decided to look for evidence to find out who took the cookie. You first asked your mom where the cookie went. She didn’t know. So you asked her who had been in the kitchen. She said the neighbor had come over for a short visit with her husband. Your mom said she and your dad enjoyed the visit with the neighbors. Your evidence now shows four people could have taken the cookie. You are building up your evidence. After asking more questions, you find out your dad gave the last cookie to your neighbor. You now have evidence that the cookie was eaten by your neighbor. The word evidence in the verse is talking about things we cannot see about God and heaven. Think about what evidence we have that God exists. God exists even though we do not see him. We find evidence in the Bible, creation, other Christians and your relationship with Jesus. I hope this helps you understand a difficult verse.